One of the marvelous aspects of Lean management is the focus on front line problem-solving, at the points where value is created for customers. Structured problem-solving is the focus of supervisors and front line workers to improve flow. Great things can happen when problems are recognized and corrected at the source. For many organizations undergoing a Lean transformation, top managers believe that front line problem-solving will get the job done. But will it? Can the only problems that exist in an organization be on the front line? Do problems not occur deep behind the front lines as well? What kinds of problems occur deep behind the front lines, the domain of senor managers, and what problem-solving processes do they use? Applying these solutions to problems that are not understood often results in the destruction of value from customers’ perspective of the product or service they buy, though perhaps not from investors’ financial perspective – at least in the short-term. 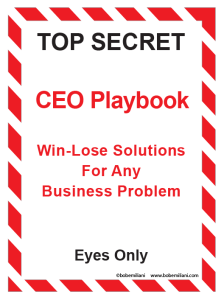 Cost problems, which is what most CEO playbook solutions address, are the result of process problems and of customer value problems. Structured problem-solving processes help senior managers correct these problems in non-zer0-sum (win-win) ways, in large part by helping them avoid errors related to untested beliefs and assumptions, illogical thinking, and decision-making traps. This is why it is so important for executives to practice the same structured problem-solving processes that front-line employees use. They should also frequently show front-line employees evidence of the use of structured problem-solving processes and how it improved information flow. In addition to understanding the true nature of problems and identifying effective countermeasures, it will give employees great confidence in their management. They will know their lives and livelihoods are in good hands.